Call 811 from anywhere in the country a few days prior to digging, and your call will be routed to your local One Call Center. According to the U.S. Department of Transportation, pipelines are the safest and least costly way to transport energy products. Denbury is committed to maintaining the highest standards of safety. We design, install, test, operate, and maintain our pipelines to meet or exceed regulatory standards. Our employees are thoroughly trained to maintain and operate the systems safely, and we are proud of our safety record. We use a variety of methods to ensure safe operations of our pipeline systems. Denbury operates carbon dioxide and/or natural gas pipelines and facilities in Alabama, Louisiana, Mississippi, Montana, North Dakota, Texas and Wyoming. We take our responsibility seriously to ensure safe pipeline operations, but you too can play an important role in helping to prevent pipeline accidents. Even if you haven’t provided advanced notification, please contact us immediately if you dig and hit or touch a pipeline. A seemingly minor gouge, dent, crease, or scrape may cause a future safety problem. 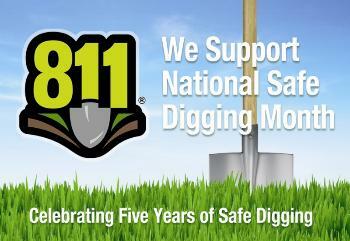 Remember, CALL BEFORE YOU DIG! Since pipelines are normally buried underground, markers are used to show the approximate – not exact – location of the pipeline. The markers also display the name of the pipeline operator, the product transported in the line, and a telephone number where the operator can be reached in an emergency. However, they cannot be relied upon to indicate the exact position of the pipeline. Don’t assume the pipeline’s route or position by the placement of the markers, call your state’s One Call Center. What is a Pipeline Emergency? DO NOT light a match, start an engine, use a cell phone, or switch on/off light switches or appliances in the area. Safety of the public and company personnel is our highest priority. In the unlikely event of a leak, Denbury will immediately initiate our Emergency Response Plan to quickly control the situation and notify local, state and federal emergency response agencies. Cathodic Protection – an artificial source of current is applied to our pipelines in addition to a protective coating to help prevent external corrosion. Pressure Testing – all of our pipelines are strength tested with a safety factor to establish maximum operating pressure prior to being placed in service. Visual Inspection – Denbury’s pipeline right-of-way are inspected on a regular basis for signs of damage and encroachment. Encroachments prevent us from gaining access to all our facilities at all times for regular maintenance or during emergencies. Marker signs are placed along the right-of-way to alert the public of the existence of the pipelines. Public Awareness Program – the program is designed to help the public, contractors and others identify the location of pipelines before excavating to prevent third-party damages. We are also members of one-call centers in the states where we operate pipelines. Monitoring – operating conditions on some of our pipelines are monitored 24 hours a day, 7 days a week by a control center. The computer system has the capability to operate automated valves to shutdown and/or isolate sections of the pipeline systems, if necessary. Emergency Procedures – all pipeline operations personnel are trained periodically for emergency preparedness and are required to follow company’s procedures during emergency situations.